Stitched Tape Binding Hand Cut Artist's Book in Slipcase. 9.5"x6"x2" closed. 13" round x 9" tall opened. Watercolor and handmade papers. Vellum and thread. 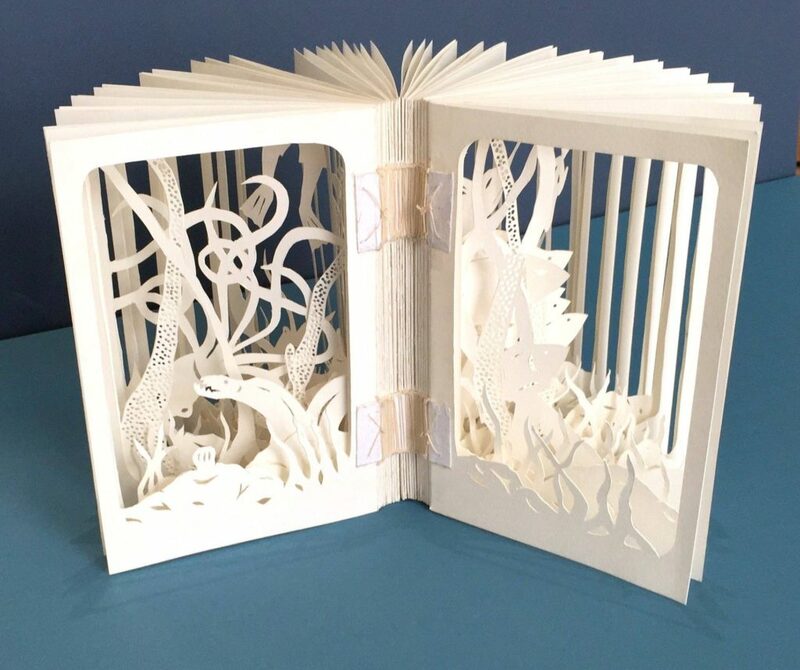 Runner-Up for the 2016 Movable Book Society/ Ticknor Society Emerging Paper Engineer Award. A book is most often a static thing, meant to be viewed one or two pages at a time, and in a given order. Even movable books fall prey to this seeming limitation, their joys of interaction held captive by the binding. How, then, can a book become more, mimicking an environment and drawing a reader in? 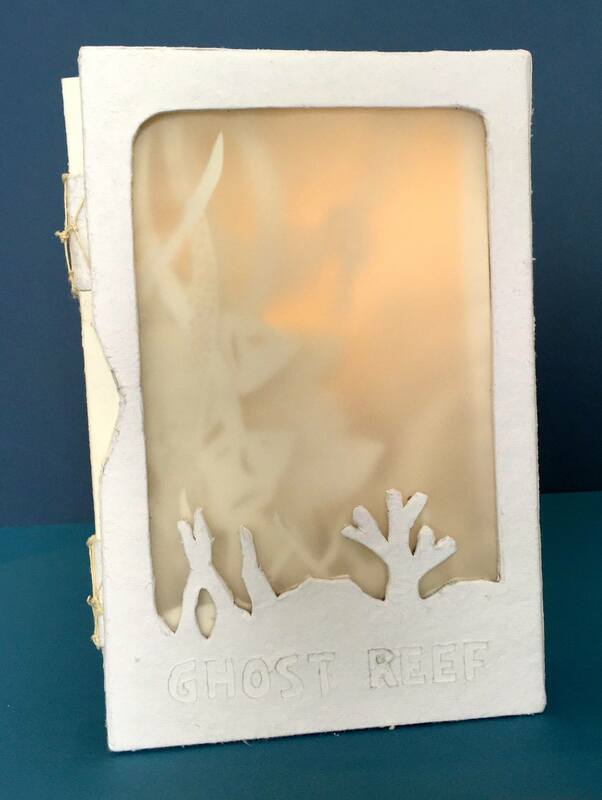 This was the challenge I attempted to conquer with Ghost Reef. Individual scenes, freehand cut, can be viewed in either direction, beginning or ending at any point, and change depending on the position of the viewer and even the sphere of light and the shadows cast. In binding this book, I wanted to come up with a method that would hold the pages together for storage in a slipcover on a shelf, so that it mimics the traditional book form, but I also needed it to be able to open to a full 360 degrees. 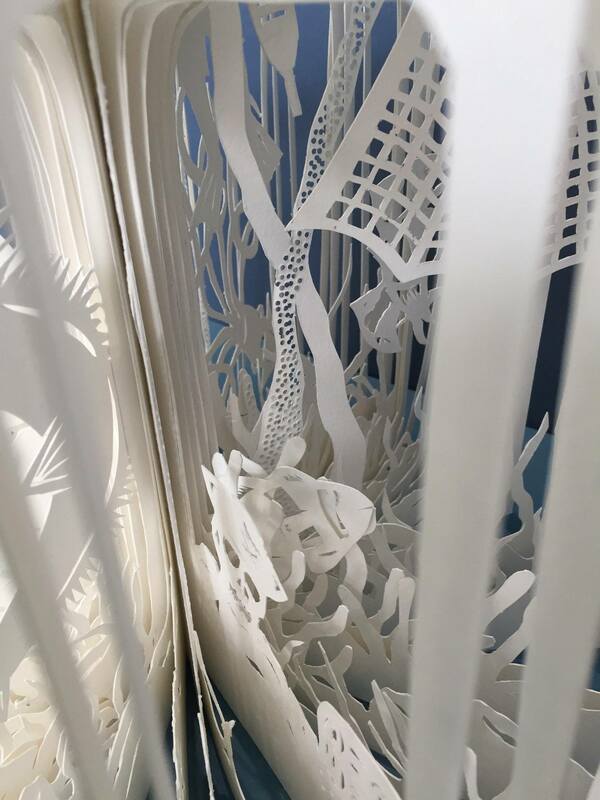 I wanted the pages to wave and undulate, so that the movement reflects underwater currents when the reader opens the book to explore. A modified stitched tape binding allowed this. 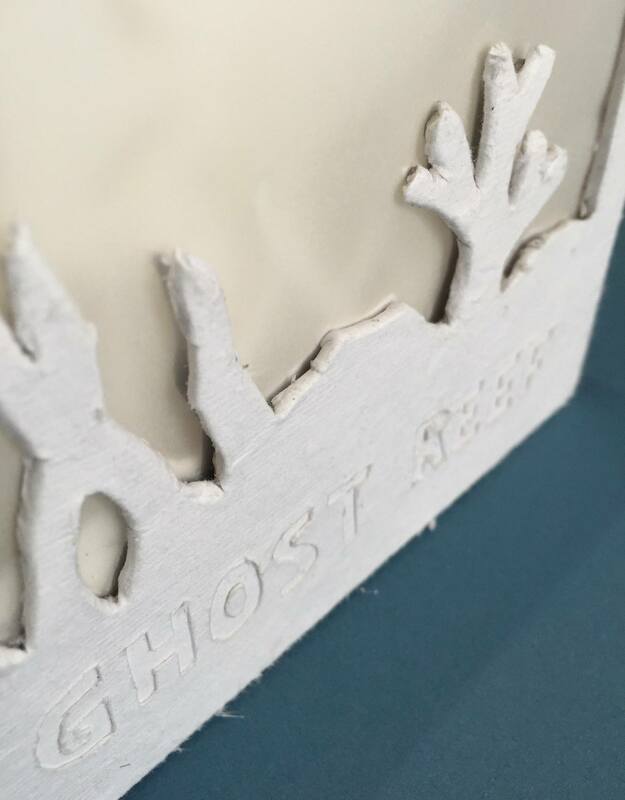 Similar to the experience of diving through a reef, the story in Ghost Reef changes with the undulation of the pages and the spaces between, revealing hidden secrets from one moment to another. 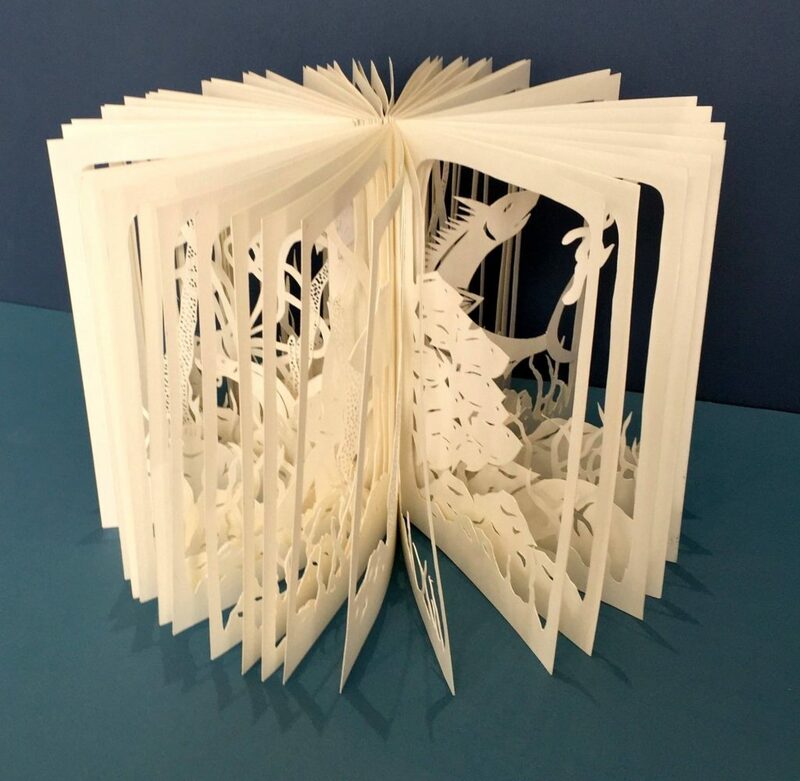 The whole book, and its movements, becomes a part of the story. 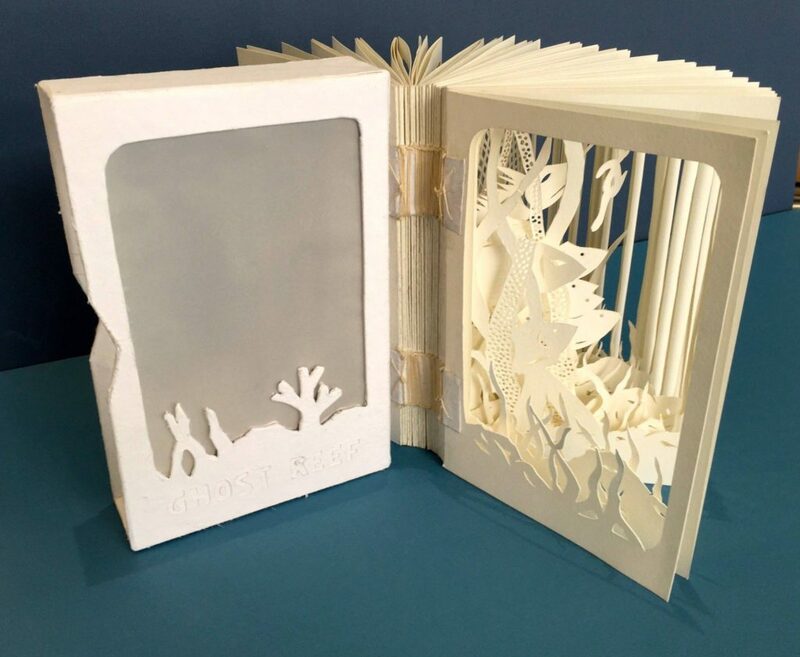 No longer static pages held captive by traditional covers, but a world contained within a slipcase.